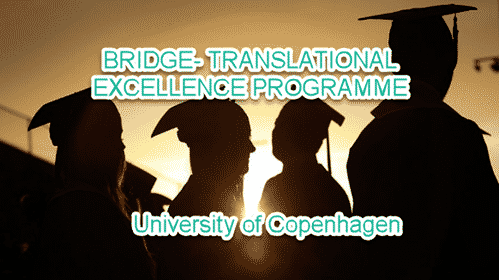 The Faculty of Health and Medical Sciences is now launching a novel postdoctoral programme – BRIDGE Translational Excellence Programme aiming to train postdoctoral fellows mentored by top-level professionals in research, medicine, and life science industry. The programme will provide the fellows with the ability to translate insights from the basic into the clinical sciences and vice versa and the training to manage the essential collaboration between disciplines. Eligibility: Applicants must have an MD and a Ph.D. or equivalent (proof of an appointment that requires doctoral equivalency) or have an MSc and a Ph.D. within a relevant discipline such as veterinary science, biology, biochemistry, molecular biology, bioinformatics, pharmacy, dentistry or medical engineering. Experience: MSc-PhD applicants must have a max. PhD-age of approximately 4 years at the time of fellowship commencement. Documented periods of leave (parental leave, leave due to sickness and military service) can be deducted from the PhD-age. Fellowship: The fellowship covers salary in accordance with the collective agreement between AC (Danish Confederation of Professional Associations) /Yngre Læger and the Ministry of Finance. The financing of running costs for the individual research projects will be covered by the hosting environments. 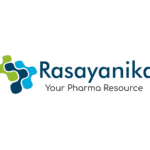 Each fellow will, in addition, receive an annual sum of DKK 50.000 during their 2 years employment to cover costs for PC, travel, participation in meetings and conferences, and activities not offered within the Programme. Application Procedure: Applications must be submitted online and via the link ‘Apply now’ below or via this advertisement found on https://employment.ku.dk/faculty/ no later than on December 15th, 2018.